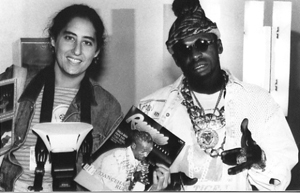 Ft. Lauderdale, FL – Tiger, the award-winning DJ sensation who pounced on the music scene in the late 80s and early 90s, was recently in South Florida for a one-off performance with the groundbreaking Shabba Ranks. The 5th Annual Flash Back Nights was held at Ft. Lauderdale’s Revolution Live on July 2, 2011, and the sold out crowd welcomed the two icons with open arms.Prior to that evenings performance, I caught up with the two legends at their hotel. 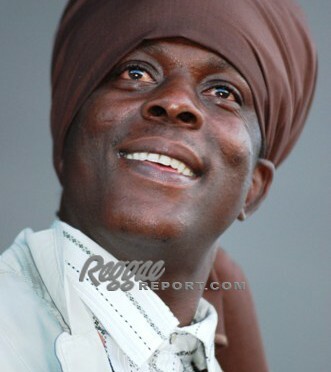 Shabba, a Reggae Report regular and featured on four covers, was looking fit and healthy. In between endless cell phones calls we chatted and reminisced about those early days of Dancehall when Shabba was king and paved the way for todays performers. The Grammy-winner was looking forward to that evenings performance and mentioned that he visits South Florida frequently. Sounds like a future interview, fi real. I made my way to Tiger’s room, looking forward to seeing my pal from back in the day. 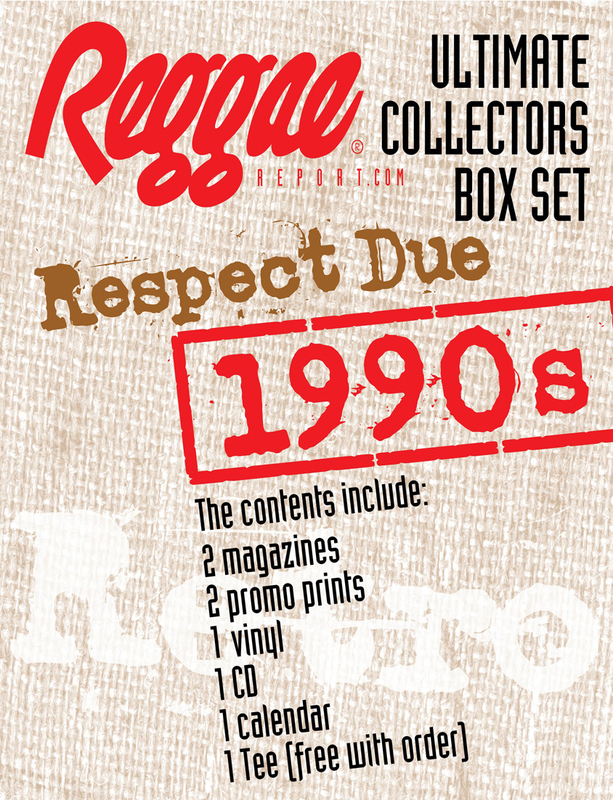 Tiger, a regular Reggae Report item, was one of a handful of artists who stepped up to perform at the magazines fundraising Sampler Show in 1991. His talent, humor, spirit, and generosity were inspiring and not forgotten. I had not seen Tiger since the horrible motorcycle accident in December 1993 that forced the cat into seclusion and a long period of recuperation. Excited at hearing he was back on the prowl, it became my goal to catch up with the tenacious Tiger. For the uninitiated, Norman Washington Tiger Jackson was born June 6, 1960 in Kingston’s Victoria Jublilee hospital, and grew up in the Papine/Liguanea area. His aspirations to attend Jamaica College were put on hold when he discovered Kingston’s bubbling music scene. From holding the mic with the Incrowd Disco, the 18-year-old dreadlocked singer and musician got a push when he released the Philip Grant-produced single Why Cant You Leave the Dreadlocks Alone under the name Ranking Tiger. There was a period where he sang at hotels and was the some-time drummer and DJ/singer with the George Tucker and the Stardust Band. Soon able to leave a part-time gate guard position at Kentucky Fried Chicken, he moved on to Aquarius Studio where he recorded Knock Three Times and Love Line in 1981.
vitality god. 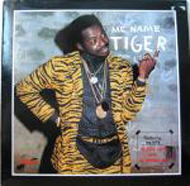 Washington, DC-based RAS Records took on distributing the Kingston-produced album Me Name Tiger in 1986, and Mango/Island released an album by the same name in 1987, this one backed by the popular Riddim Kings band. made an impression on, and performed with, the Rap chart-topping Fat Boys on Tings Nah Go So in 1989. 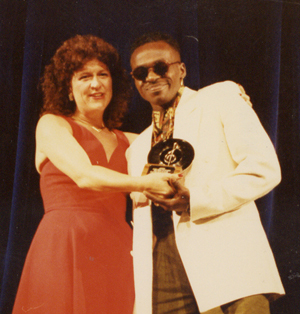 In 1991 he returned to the Steely & Clevie studio to record the popular single Cool Me Down, which was featured on the soundtrack for the film Cool Runnings. 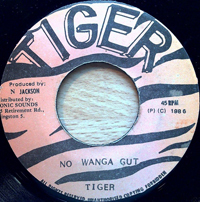 Tiger joined Tony Rebel, Worl-a-Girl, Wailing Souls, and Supercat–artists also featured on that CD–for an extensive Stir It Up! Live Dancehall Tour. The popular Beep Beep Move Over on the Bam Bam riddim was released around this time, as a response to Zebra, a copycat DJ who mimicked Tigers eccentric style. 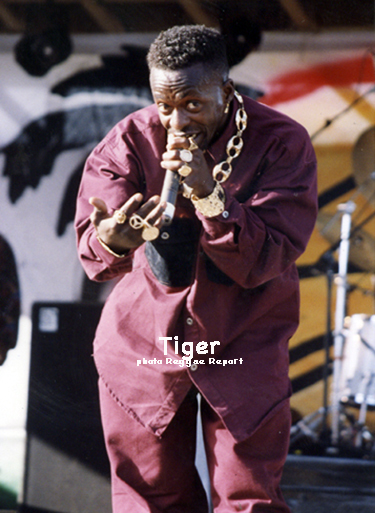 Back on the Reggae music radar, Tiger was soon signed to Chaos/Columbia Records where he released Claws of the Cat in 1993. As quickly as his star rose, it crashed just as quickly. 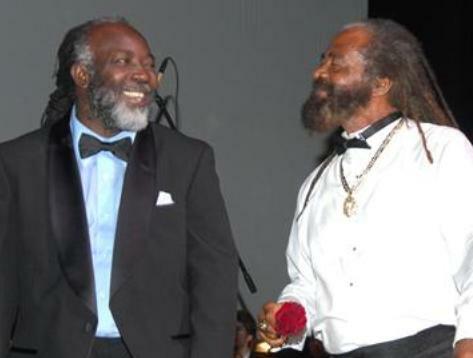 A horrific motorcycle accident in Kingston in December 1993 left one of Dancehall’s most prolific writers and entertainers critically injured. It would require years of therapy, prayer, and the loving support of his family and true friends before the tenacious Tiger could return to his life and his love – music. And return he did! 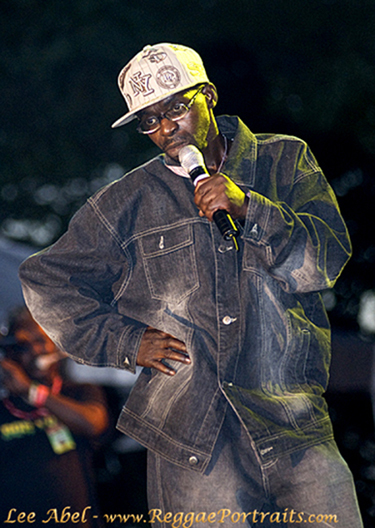 Tiger tore up Montego Bays Sumfest in 2007, and at Sting 2009, he appeared alongside singer Anthony Malvo at Kingston’s Jamworld. Continuously writing lyrics and producing tracks, Tiger never lost his desire to create and perform. 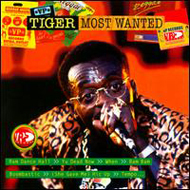 VP Records recently releasedTiger-Most Wanted, a compilation of Tigers greatest hits, including Ram Dancehall,Bam Bam, When, Ready Fi Dem, and the very funny She Gave Me Hic Up featuring Gregory Isaacs.After a warm welcome hug when I surprised him by showing up at this hotel room door, Tiger and I sat down for a brief chat. I asked what he had been up to since we last met. 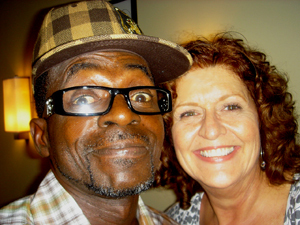 He quickly responded: Praising God, staying out of trouble, and keeping up my lyrical compositions. He has a new song in the works, Look & Seek, soon to be on his own Hide & Seek label. He’s pleased about the VP compilation, and when asked which song is his favorite, he replies every one every one is my favorite. But in concert, Tiger said, Bam Bam is one of his favorite songs to perform and one of the most requested by fans. As one of the top trending DJs in the late 80s, the iconic period when Dancehall was beginning to take hold in Jamaica, I asked Tiger his thoughts on the current state of Jamaicas Dancehall scene. Well, right now, he began, the younger ones are doing some work [thats] pleasing to some but not pleasing to the majority. The compositions are not right; the compositions are losing their righteousness in Jamaica. After a thoughtful pause he adds, the skill is there but the versatility is disappearing. 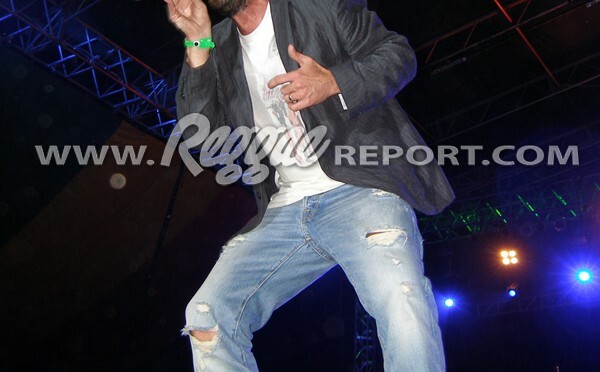 Regarding Reggae on a global scale, Tiger replies, How I see it, foreigners love Jamaican Reggae more than Jamaicans. As for those Jamaican artists looking to break the international barrier, Tiger reminds them that it is God who has given us the gift of life, and by the grace of God, Reggae will continue forward. 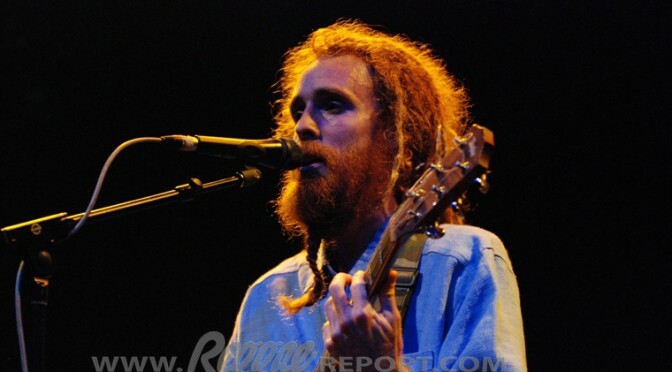 Individuals who are in it [Reggae] have to make their steps right to make it better for us all including me. Coming from a man with the talent, skill, and experience in the hardscrabble music business, Tiger advises young artists not to fall into temptation, not to take up badness and to do good, clean lyrics. Time for the Flashback Nights show was drawing near; time for Tiger to get ready to pounce once again on the Revolution Live stage.I asked if he had final comment for his fans. Without missing a beat he leans into the mic, and with that famous Tiger growl says, Its nice to be important, but its more important to be nice. Tiger has returned and its grrr-rrr-eat!